The deal between the two popular security software companies will provide Avast with 400 Million endpoints — devices that have some form of Avast or AVG application installed. Around 160 Million of those are mobile. However, AVG technologies was in controversies for updating its policy that clearly said that the company will be allowed to collect and sell users’ "non-personal data" to online advertisers in order to "make money" from their "free offerings" so they can keep them free. With access to a large number of devices, Avast will be granted more opportunities in Internet antivirus and security-related business, giving the company a bigger pool of data on malware to offer better security products. 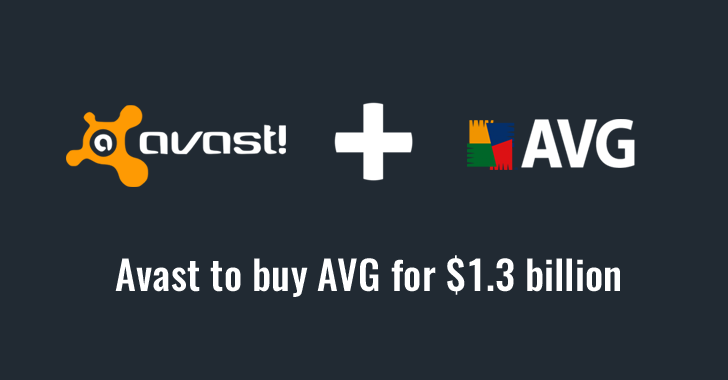 "We believe that joining forces with Avast, a private company with significant resources, fully supports our growth objectives and represents the best interests of our stockholders," AVG CEO Gary Kovacs said in a statement. The deal will also provide Avast with an expanded geographical reach in its primary business as well as the growing number of Internet of Things — physical devices connected to the Internet, Avast said in a statement. The offer of $25 per share on AVG represents a 33 percent premium to its closing price Wednesday on the NY Stock Exchange. Avast will fund the transaction using cash on hand and debt financing. This is the next major tech acquisition in last few months. Just last month, Microsoft made its biggest acquisition by acquiring LinkedIn, the social network for professionals, for $26.2 Billion in cash.